See a lower price elsewhere? Not only will we honor that price, we'll beat it! 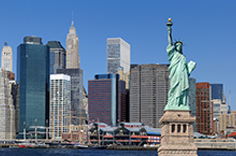 Bite into the Big Apple and big savings by booking a spacious suite at one of our NYC-area hotels. 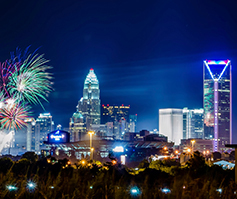 Enjoy the queen city! We have some of the lowest prices in the area. 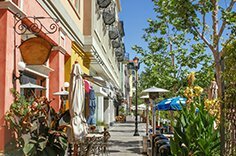 Cozy up in this charming CA city by visiting one of our 9 area locations. 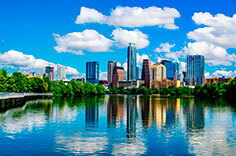 Find a friendly home away from home in Austin, a city ripe with southern hospitality. At Extended Stay America, guests find a friendly staff and the practical touches that make being away from home easier, whether they book a hotel by the day, week or month. Each of our spacious suites offers a fully equipped kitchen, free Wi-Fi, flat-screen TV with premium channels, free grab-and-go breakfast and on-site laundry facilities. We offer family-friendly (kids stay free!) and pet-friendly hotel suites in over 600 locations throughout the United States, with long-stay hotels in most major cities. Whether you’re traveling for business, looking for temporary or corporate housing, needing short-term housing during relocation, or planning a weekend getaway, we have the solution that will fit your budget, with great nightly rates, budget weekly rates and discount long-term rates. 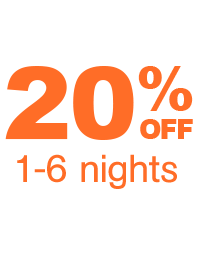 Extended Stay America is the convenient, affordable hotel choice for savvy business and leisure travelers alike. All hotels are either owned and/or managed by Extended Stay America, Inc. or one of its affiliates, or owned and operated by a franchisee of Extended Stay America, Inc. or one of its affiliates.